At least one person has been killed and nine others injured in a shooting in New Orleans’ historic French Quarter. According to police, the gunman opened fire shortly before 01:40 local time at the corner of Bourbon and Iberville streets. Police Superintendent Michael Harrison told a news conference the victims were eight men and two women, aged 20 to 37. Michael Harrison said two men were arrested on firearms charges – one of them a shooting victim. He said police do not know what motivated the shooting, and that investigations were ongoing. Michael Harrison added that the Bourbon Street area, which is full of bars and popular with tourists, had an increased police presence at the time due to the Bayou Classic, an annual college football game taking place the night before at a nearby stadium. NOPD had made eight other firearms arrests over the past 24 hours, Michael Harrison said. The man killed in the shooting died in hospital, where the other nine victims remain in various conditions. 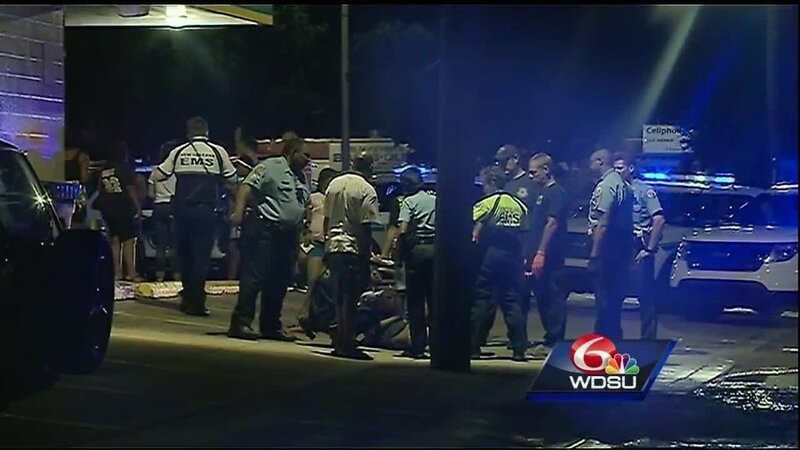 This is the second mass shooting on New Orleans’ Bourbon Street in less than three years.